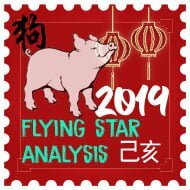 Full details on the 2017 Xuan Kong annual flying stars can be found by clicking THIS LINK and this year is very important as we have the very inauspicious #5 star enter the south which will mean that specialist cures are needed more than ever. The last time that we had a Yin Fire Rooster (Ding You) year was back in 1957 and this is actually a cycle of 60 years which will be found in a traditional “ten thousand year calendar”. The Lunar Chinese New Year Day (28th January 2017) is very different from the Solar (Hsia) New Year Day which falls on February 3rd 2017 which I will explain below. As far back as I can remember, Chinese New Year’s has always been a time of gorgeous food, meeting up with loved ones, receiving Ang Pow red envelopes from elders, the Dragon dance, throwing lettuce in to the lion’s mouth, Chinese Firecrackers and the colour red. Chinese New Year has always been a time of happiness and excitement for me and is one of my favourite times of year as it gives me a chance to relax and celebrate everything that I have in my life. Although the solar (Hsia) calendar commences the New Year at the beginning of Spring, which usually falls between the 3rd and 4th of February, the lunar (yueh) calendar marks the new year on the second New moon after the winter solstice which is the date where you would take part in all of the celebrations and festivities for the Chinese New Year. In 2017, the Lunar Chinese New Year, which also goes by the name of ‘Spring Festival’, falls on 28th January 2017 which is the New Year that is celebrated by all ethnic Chinese and in the last few decades has become more and more celebrated by people from all walks of life and festivities take place in every country in the world. The solar New Year (3rd February 2017) is not celebrated at all and only used for placing the Annual Feng Shui Cures and Enhancers. The Yellow King’s appointment was held in the spring of 2697 B.C. But they used the winter solstice day as the first day of the year. So the first winter solstice took place on around December 23rd, 2698 B.C. Today’s January 1st means nothing to the Yellow King. If we count that extra eight days in 2698 B.C. for a year, then year 2017 is the 4715th Chinese year. Best Careers for the Rooster: Surgeon, Teacher, Journalist, Sales, Food Industry, Healer. A vital aspect of the build-up to Chinese new year is the few weeks leading up to the event as we must all be very well prepared for the New Year as the beginning of the year sets the example for the year’s luck ahead and to start the year without having everything in place or not taking care of affairs could cause problems; for example, if you enter the year with debts, you are setting an example for the rest of the year ahead and whilst it is ideal to start the year debt free, this is not easily achievable so the next best thing would be to pay off small debts. If you enter the year of the Rooster in a dispute with someone, this signifies that you will be in dispute with others throughout the year. This rule also applies to anything you have lent out to family and friends, it must be collected before the beginning of the Chinese New Year or else you may find yourself lending for the rest of the year. This goes with most things; generally, the best attitude to take is to start the New Year as you wish to go on which is why drinking alcohol is not actually encouraged during the Chinese New Year but I will tell you more about this below. 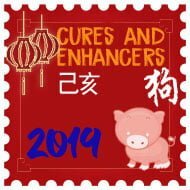 During the few weeks building up to Chinese New Year, it is routine to go through the whole house and clean all around the home by dusting everywhere, clearing out junk and removing any broken or damaged items. 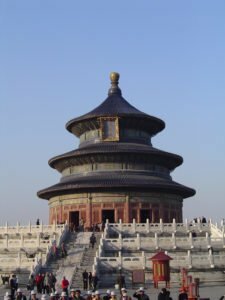 For as long as I can remember, I have had an endless list of tasks that need doing before the New Year as it is extremely important to make sure that the house is thoroughly cleaned and dusted as this ensures that the old stagnant Qi is swept away so that new, fresh auspicious Qi can enter the home. Think about when you sell your home, you spend a great deal of time going around the whole home tidying and repairing any damages in order to make the house as beautiful as possible in order to attract prospective buyers; this is very much the same as how you would go through the whole home, tidying to attract fresh Qi in the upcoming New year. We created a free printable document that you can view by clicking the title above which started off as my own personal checklist for Chinese New Year that I used to print off for family and friends and contains everything that I need to do around the home and office before Solar Chinese New Year (3rd February 2017); you can view this article and print it out if you find it useful by clicking here. When I was younger, this was always seen to be anexhausting task and I never really realised the effect it had on everyone in the home until I moved out and did my first proper Chinese New Year deep clean and I noticed a sudden uplift in so many areas of my life; my energy levels were much higher and from just clearing out all of my unneeded clutter, I changed a lot of circumstances for the better. Ideally, the whole house inside and out must be cleaned before New Year’s Day and I personally spend a good two or three days going through every single drawer and move every piece of furniture from my chest of drawers to the coffee table and clean underneath and around everything which to be honest, can be a very daunting process, but is well worth it when you sense new Qi coming in. Cobwebs must be cleared out and any old and broken items should be thrown away. 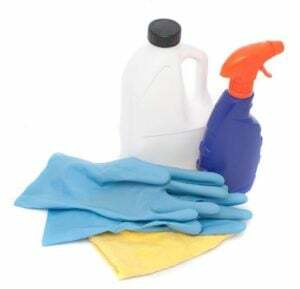 Following cleaning, all brooms, brushes, dusters, dustpans and other cleaning equipment should be put away out of sight because if you were to leave them out, this could threaten the new qi that is arriving and this is something that everyone should aim to avoid; although a lot of homes do not have space to pack away hoovers and big appliances, it is good practise to put them away in a room that is not commonly used and avoid corners of kitchens, living rooms etc. For our home and office it is a bit of a pain as we treat the western New Year the same as the eastern and we end up doing all these rituals twice every year with such a short space in between although this does mean that the clean for Chinese New Year is usually less effort due to deep cleaning before. Red to the Chinese also means good fortune, fame and riches. You should be very careful when using the colour red inside your home though as I have seen a great deal of homes and businesses that have used very bright reds thinking it will give them good luck whereas in traditional Feng Shui, if used in a wrong location it can cause many issues but this is the most potent colour and if used correctly can give brilliant results.Please take a look at our 2017 Flying Star Analysis to find out where red can be used in 2017. The build up to Chinese New Year is also a crucial time to renew your protective talismans which should be used to ward off evil throughout the home or office during the year (click here to find out why you place these talisman charms and to also download a free printable copy). People from all over the world will do this by decorating their home with auspicious couplets and emblems with the additional aim to summon good fortune. These talismans will be printed on thick paper in red or with a red background. In Chinese culture, the colour red is seen as a life giving colour, associated with summer, the south and the vermilion bird, which is similar to a phoenix (oddly enough symbolic of rebirth in the west too) and represents the fire element. When we are preparing for Chinese New Year in the upcoming weeks and months, it is always a good idea to decorate a home or office with live, fresh, blooming plants. Fresh plants are seen as a symbol of rebirth and new growth both in the home and in business. Flowers such as Peony, Plum Blossom, Bamboo and Chrysanthemum all symbolise wealth and high position in one’s career. 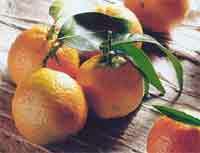 It is said that by having no flowers in your home, the result will be a lack of fruit in the year. It is considered extremely lucky for the whole household if a plant blooms on New Year’s Day as they can expect the year ahead to be full of prosperity so be sure to place lots of plants. Plum blossoms and bamboo are also displayed to symbolise perseverance, reliability and longevity. Another vital tradition that is encouraged for everyone to do in their home and costs hardly anything for Chinese New year is placing fruit. Oranges and tangerines are two very symbolic fruits associated with the celebration of Chinese New Year as both of these fruits are symbols for abundant happiness. The colour of oranges and tangerines is a good symbol of gold and, together with a ‘hung bao’ ang pow, (red packet containing money), they are offered to friends and family as gifts symbolising gold ingots; every year, my parents come over to my home and bring two fresh nets of oranges for me and vice versa. About a week before Lunar New Year, traditionally families will be very busy preparing the religious ceremony which is performed with tributes and offerings in honour of Heaven (Tien Shen) and Earth (TiTu), and of the various deities of the household together with family ancestors. One of the most well know deities associated with Chinese New Year is the Kitchen God(also known as stove god) who resides over the stove and is said to keep an eye on the interactions of the household, making an annual report on what the family has done in the past year to the Jade Emperor in Heaven around about a week before Chinese New Year Day. Rites and offerings are made to the Kitchen God (Zhou Khun) on this day with hopes that he will speak well of the deeds of the family. Traditionally, one of the main events over the Chinese New Year celebrations is the ‘Reunion Dinner’; this is a very extravagant banquet which is laid out to mark the onset of the New Year where every family member, old and young gather for a reunion dinner to symbolise family harmony and spend time together. Family members will all aim to get back to their home where the elders live; even if they have moved abroad or away from home, they will make the effort to come back and be together with all of their family members. It is normal for the wives or partners to spend their reunion dinner in the husband’s family home alongside his family. This reunion dinner is always a very grand family banquet that fills the table with all sorts of special,delightful, exciting dishes and delicacies which are all artistically named with auspicious symbolic meanings assigned to each dish. The dinner will usually begin with a prayer of tribute and offerings to their ancestors and deities at the family altar. It is a very colourful and lively affair when every light is supposed to be kept on in the house throughout the whole night; the light is kept on in order to warnbad spirits and the Nian monster away from the home. 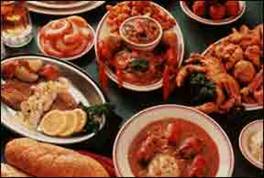 Some of the different dishes that get presented on the dinner table are believed to have superstitious attributes. Some of the dishes are commonly foods like Ginkgo nuts as they represent gold ingots and are said to be full of auspicious luck for fertility. Black moss seaweed is a beautiful dish and is also a symbolic food of prosperity. A whole chicken which is a desirable addition to the feast is also a symbolic food of prosperity.Dried bean curd is placed on the banquet table to symbolise happiness and luck. Lotus seed is seen as another fertility symbol and signifies having many offspring. Nian Gao is a traditional sweet steamed glutinous rice pudding, when you eat this dish you will aid growth and abundance.When you translate bamboo shoots into Chinese, the words sound similar to the Chinese for “hoping that all turns out for the best”. A whole fish with its head and tail intact will represent togetherness throughout the year. Traditional dishes eaten include fish, dumplings, spring rolls, Nian Gao cake, Tang yuan rice balls, noodles, fruit. The Reunion Dinner is a very busy and lengthy event, which will usually see the women gathering around the kitchen preparing the dinner whilst the men either watch TV or (guess what?) play game after game of mah-jong. Mah-jong is an extremely important part of Chinese culture and is played by men and women alike, often in halls solely dedicated to the game.Mah-jong is linked with gambling with huge sums of money being won and lost by the players. You need a brilliant memory in order to memorise which tiles have been laid down and which remain. Once a certain point in a hand has been passed, you need to pay special attention as if you are the one to put down the tile that enables another player to win that hand, you not only have to pay your own losses on the hand but those of the other two losing players as well. This can mean serious amounts of money throughout the day if memory is not a strong point. Traditionally, children will then be washed and dressed in their new pyjamas (every year, during Chinese New Year I replace my pyjamas) and promised the arrival of “Tsai Shen Yeh” (Chai Shen Yeh) (the Wealth God). Whilst they sleep; the children’s parents will slip an ang pow (a red envelope with money) under their pillow which means a visit from ‘Chai Shen Yeh’ which is a very similar practise to the tooth fairy. It is also very common for children to receive red envelopes from the older generation family members with the amount that is given being dictated by the closeness of the family relationship and also the age of the child. When giving or being given a red envelope, it is good practise to give and receive with both hands. It is common for the older children to receive more money than younger children and for parents to give more than an aunt or uncle. Someone who has a large family and who has taken a defeat on the mah-jong tables is in for trouble! At midnight, during the turn of the old and New Year, it is tradition all throughout China and also all throughout the world to hear very loud bangs as everyone lets off Chinese fire-crackers which are used to warn away the evil spirits (Nian monster) and also the old Qi of the year just passed but also to greet the New Year. Sadly, fireworks have been cancelled in the UK on Chinese New Year without permission from the council although it is accepted on our western New Year. China are also looking to put a ban to the fireworks in order to control pollution during Chinese New Year. 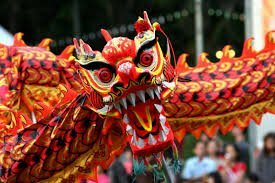 Countries such as the UK have left the fireworks out and kept to the traditional dragon dance ceremony where people will dress in a large dragon costume and dance around to loud music with drums which works just as well as firecrackers and is also a great experience for everyone. Performers will hold poles and raise and lower the Dragon. It is tradition for one man to hold a ‘Pearl of Wisdom’ on a pole and tempt the Dragon to follow him to the beat of a drum, as if the dragon was searching for wisdom and knowledge. 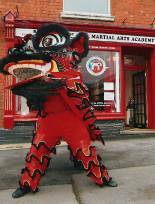 The Dragon dance dates back as far as the Han Dynasty (202BC – 22AD) and was used in a ceremony to worship the ancestors and to pray for rain. The Dragon dance later become a source of entertainment and in the Tang and Song Dynasty, the Dragon dance became a common ceremonial activity to celebrate Chinese New Year. The Dragon costume is traditionally stored in a Dragon King Temple and will only be taken from the temple on the day that the dance is to be performed and will be followed by locals banging on drums and carrying banners and flags. The body is attached to the head and is known as the ‘eye pointing’ ceremony. One of the team will walk in front of the Dragon carrying a big pole with a big ball attached at the top decorated with frills and ribbon. The ball is moved all around and the Dragons will follow the ball wherever it goes. Once the dance is over, the tradition is to burn the head and tail and return the body to the Dragon Kind temple until next year. It is believed that by burning the head and tail of the Dragon will take the Dragon to heaven and bring good weather for crops in the year ahead. 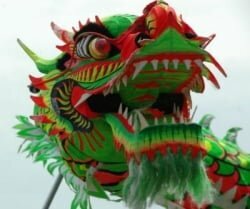 Another belief is that the burning Dragon will repel bad luck and disasters for the year ahead. The Lion dance which also goes by the name of the ‘Lion Lantern’ is a traditional dance which is performed on Chinese New year where two men or teenagers will wear a lion costume, one will be the head and the other will be the body of the lion and they will mimic a real lion to a beating drum and gong. On the head of the Lion, there will be a mirror which is said to scare evil spirits away when they see their own reflection. The Lion will make his way down the street and will meet the ‘laughing Buddha’ who will be dressed in a monks robe and a mask who will tease the Lion with a fan made of banana leaves which makes the Lion jump all over the place. The Lion will move all around the street looking for lettuce which will be hung above doors to homes and offices and will have an Ang Pow attached with money thanking the Lion for their wishes of luck and prosperity for the year; it is thought to be very auspicious for the Lion to take the lettuce from your door. After the lion takes the Ang Pow from the lettuce, he will scatter the lettuce leaves all over the street which symbolises a new start for the year ahead and good luck. Chinese New Year’s Day itself starts with the exchange of good wishes amongst the family and they will all be dressed in new clothes. 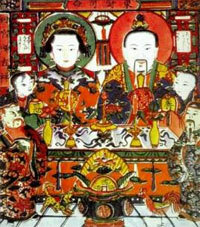 Married couples present the young ones, children and unmarried adults alike with a Hung-Bao. In Chinese culture, instead of giving a wrapped up present such as clothing or toys as we do at Christmas in the UK, USA or other countries, it is tradition in a lot of homes to give children and teenagers a red envelope containing money. The amount of money contained in the envelope has to be in even numbers as even numbers are auspicious with the exception of a single Chinese i-ching coin on its own. For example, it could be two dollars, ten or twenty dollars. It is amazinghow much money a person can receive in a single day. Later on in the day, everyone will go out to visit their different relative’s homes. The visiting rota has an unspoken hierarchy arrangement where the oldest get to sit at home and wait for the younger relatives to visit them to exchange good wishes to each other. This is a very thrilling time for the children because nearly every ‘Kung Xee Fa Chai’ (it means Congratulations and may you be Prosperous) they say; they receive an ang pow (red envelope containing money) for it. The second day of Chinese New Year is known as ‘Kai Nien’ which means “Year Beginning” and will begin with a very early morning breakfast. Special dishes will be prepared with symbolic names. The main dish of this day of celebration is a bowl of long noodles which will end with everyone at the table tossing the noodles as high as possible with their chopsticks. The tossing of noodles is a symbolic activity done to promote longevity. This means that, unless you are unable to do so, you stand up and raise your arms full stretch in the air holding the noodles aloft which can be a messy but fun affair which usually results with a lot of noodles stuck on the ceiling! Unlike in the west, Chinese New Year is not seen as a time for drinking a lot of alcohol and in most homes, it will not usually be consumed over this time as people save space for themselves to drink massive amounts of Chinese tea. Some people will have a Chinese wine with their meal but, particularly as the emphasis is so much on the family nature of the celebrations, nobody goes over the top and gets drunk. Two days of eating a great deal and exciting fun and games with family can be quite tiring as the Chinese do not hold back on these occasions and like to celebrate in style. The Chinese relationship with food is close all throughout the year but at no time more so than at New Year. Many dishes have particular significance, especially at this time. Even everyday dishes like fish and turnips have special meanings and none more so than fish balls and meat balls both of which suggest reunion, which is important to bear in mind at this time. After two days of celebrations and festivities, even the Chinese can have enough and recognise that energy levels are needing to be restored which brings us on to the third day which is a day of well-deservedrest. Traditionally, this is not a day for hazards or being adventurous and is similar to the Boxing Day you may celebrate on December 26th. The young ones will venture out to see friends but it is generally a quiet day for everyone. Usually, no offices or businesses will be open on this day. Normal everyday duties soon return with companies, shops and stores opening up for business as usual on the fourth day. 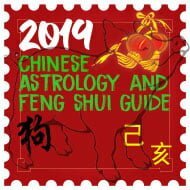 Many businesses will choose a specific day to start business using date selection with the assistance of their Feng Shui Practitioner and initiate the new trading year with a spectacular display of Lion Dance and fire crackers. It is a very noisy and exciting event for both employees and passers-by and is said to bring prosperity to the company. Greetings and an atmosphere of celebrations remain for another eleven days right through to the full moon of the first lunar month when another celebration follows and this celebration is to mark the closing of the Spring Festival which is also a big event. Day 15 is also called the ‘Spring Lantern Festival’ (Yuan Xiao Jie). This delightful idealistic celebration takes place under a full moon on the fifteenth day of the first lunar month of the year. Make sure that your house, flat, office, warehouse, shop or any other building is completely clean from top to bottom, to encourage good luck in the coming year. On average, we spend 2-3 days cleaning every single area of our home just before New Year which is quite time consuming but feels great after. We also do a full stock take around Chinese New Year and throw away any damaged stock when we clear out the warehouse and offices. Do not talk about death or anything negative on the first few days of the year and in modern days horror films or any film with negative connotations would never be watched. Do not cry on the first few days of the New Year or raise your voice to your children or any other member of your family as it is believed this will set the year ahead. Many people, especially Chinese will buy a new pair of slippers at New Year, apparently it is said to stop people gossiping about you, In China, face and reputation is very important. The Chinese believe that whatever happens to them on New Year’s Day sets how the year ahead will be for them; this is why they avoid arguments, using knives, driving too far and they love to gamble on New Year’s Day as they hope to create good luck and wealth. You can read more on this below. Some rules and regulations the Chinese stick to on the Chinese New Year Day. Because everybody is in a celebrating mood on Chinese new year’s, people should not argue or disagree with each other. Parents should not punish or discipline the children. Otherwise, they will have more arguments in the New Year. Women should refrain from using a knife or scissors in the kitchen. The knife signifies anger and danger in the woman’s life and the scissors predict the woman cutting people out of her life. Women do not prepare or cook meals on this day but eat leftover and pre-prepared food from the day before instead. It is considered bad luck if you smash a plate, bowl, cup or any other similar kitchen crockery; this brings bad luck regarding finances throughout the year, all smashed and cracked crockery should be placed in a round container until the next rubbish collection day. It is said that if you were to sweep up rubbish or throw away rubbish on Chinese New Year Day, you will be sweeping or throwing away the wealth and luck that resides in your home so please do not do any cleaning. Do not take a lunchtime nap today as this will encourage laziness throughout the whole year ahead. You should not wash yourself on this day which mean do not take a bath, shower or wash your hair as this will wash away all good luck for you personally. Do not eat rice or oat porridge for breakfast on this day as rice or oat porridge is associated with the poor eating rice or oat porridge in the past; this symbolises a loss of wealth. A good breakfast would be fruit. 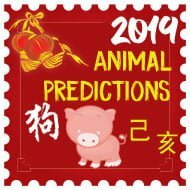 Do not eat any meat during breakfast on this day as many gods that are vegetarians arrive on the Chinese New Year Day festival this day and this could upset them causing problems. Refrain from taking medicine if possible on this day that is not essential for your health as this could symbolise weakness and could bring illness to you throughout some point of the year but obviously, necessary medication must still be taken as usual. Do not collect any debts on this day as you may find that you will be chasing money for the rest of 2017. Do not let anybody take anything out of your pockets, purse, handbag or wallet as this symbolises money loss throughout the year and please be careful when out as pick pockets can also cause problems with this. Do not buy any shoes as it is considered very unlucky; “shoe” translated in Mandarin means evil and when translated in Cantonese means rough although slippers are fine. I hope you have enjoyed reading this and would like to wish you all a very happy, successful and lucky new year in 2017. 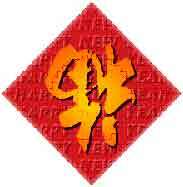 There are many links below related to the Chinese New Year and traditions.